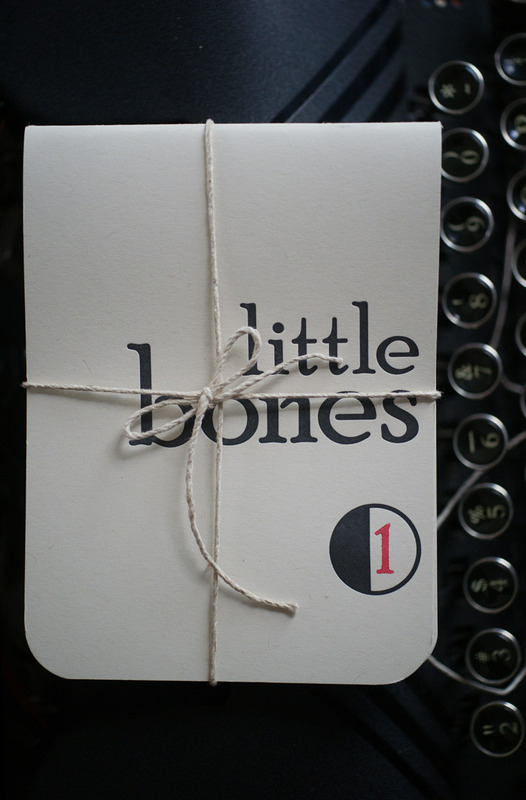 Little Bones was a collaborative project by Ben Clark, Stevie Edwards, and Josh Gaines. Each book set was limited to a main edition of 275 copies, and a signed/numbered hand-sewn deluxe edition of 25. The letterpressed covers were done by Thomas and Brown, and all books were hand assembled and bound by the authors and their friends. The books were designed with tour and performance in mind, with three books to each set, one for each poet, and only available for a limited time during the Little Bones tour. For current purchase information email Josh Gaines.